ISIS is probably using chemical weapons: Where did it get them? ISIS Is Probably Using Chemical Weapons. Where Did It Get Them? 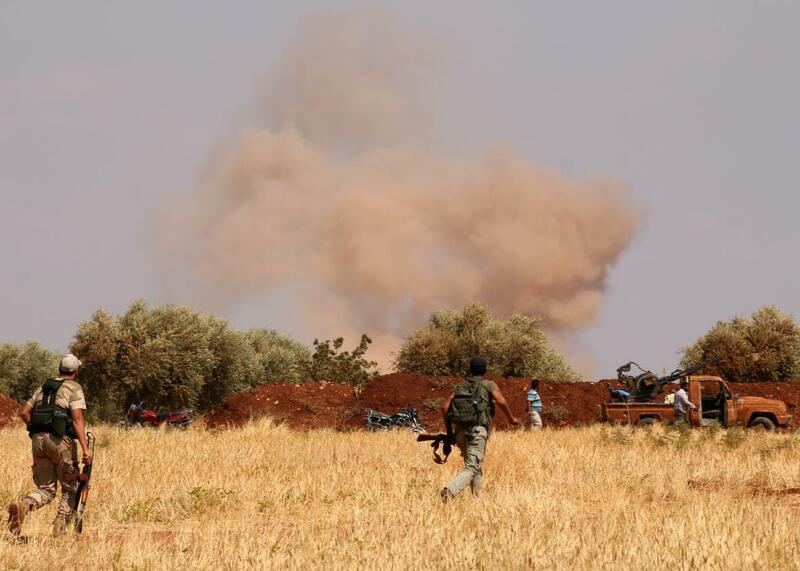 Rebel fighters on the outskirts of Aleppo, where ISIS allegedly recently used chemical weapons. There’s been increasing evidence this month that ISIS is using the chemical weapon mustard gas. U.S. officials said about two weeks ago that they suspected mustard gas had been used in a battle in Iraq. And last week, a senior U.S. military officer reported that preliminary tests had suggested the presence of mustard gas on mortars collected by Kurdish forces, though the tests were not conclusive. Now, doctors in the area say they suspect the gas was used in an attack on civilians near the Syrian city of Aleppo. Photos of victims show symptoms consistent with exposure to the chemical. This raises the serious of question of where ISIS got its hand on the gas, a weapon best known for its use in World War I that causes blisters, blindness, and lung damage. The Guardian points out that ISIS controls large areas of Iraq that could contain remnants of Saddam Hussein’s old chemical weapons program, but those stockpiles would likely be significantly degraded by now. ISIS affiliates in Libya may also have smuggled in mustard-filled shells from Muammar al-Qaddafi’s old program. But it seems more plausible that they come from the stockpiles of the Syrian government, which were supposedly removed from the country under the terms of a U.S. and Russia-brokered deal in 2013 following the sarin gas attacks that killed hundreds of people in the city of Ghouta. Syria’s last stockpiles were supposedly handed over in in the summer of 2014, though there have been widespread reports of Bashar al-Assad’s regime using chlorine gas—a substance that also has legitimate civilian uses—against civilian targets. There have also been reports of ISIS using chlorine in roadsides bombs. The Syrian opposition-affiliated website Raqqa Is Being Slaughtered Silently this week accused Assad’s regime of directly shipping chemical weapons to ISIS. This should be taken with a grain of salt, though the U.S. has accused Assad of covertly aiding ISIS in other areas to undermine the internationally backed opposition. But however ISIS got its hands on the mustard gas, the latest reports, combined with the continued use of chlorine, makes it very hard to argue that chemical weapons have been removed from the battlefield—supposedly one of the international communities sole successes in responding to the crisis in Syria.